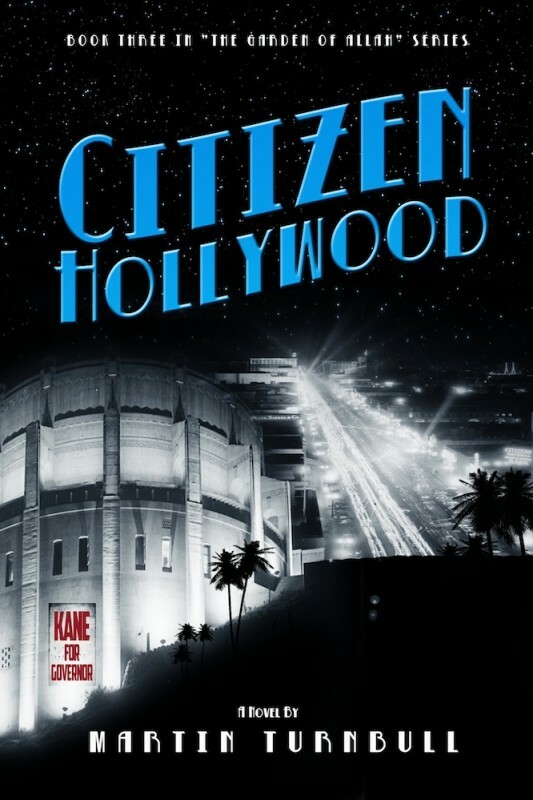 Reviews for Citizen Hollywood, by Martin Turnbull: 5 STARS I literally just finished Citizen Hollywood, the third in Martin Turnbull’s “The Garden of Allah” novels. Once again he has delivered. Gwendolyn, Katherine and Marcus are so well developed that you feel like they are old friends. The way Martin brings old Hollywood to life is a joy and I find myself wishing I had been a part of it. Since reading the trilogy, I can’t watch an old movie with Orson Wells, Tallulah Bankhead, Errol Flynn, Humprey Bogart, et al, without thinking about the residents of The Garden and wondering how Gwendolyn, Katherine and Marcus would feel about how their movies have stood the test of time and what Hollywood has become over the years… Please tell me there is a fourth book on the way. 5 STARS Having read the other two already (and out of order), I bought the 3rd one last Friday night and finished it Saturday night. I literally stopped for bio breaks and food….that’s it. I love the characters with all their flaws – they seem real – and the period seems spot on. I moved to Los Angeles in 1986 and love all the history. Very familiar with the area where the Garden of Allah used to be. I’ve already emailed the author to see when the next book is coming out. Hope you enjoy the series as much as I do. 5 STARS I’m completely hooked on this series. The characters are completely affable and I love the plot. It’s the kind of book that you don’t want to end because it’s so enjoyable, yet you compulsively keep turning the page thus ending the journey too early. I look forward to reading more. Mr. Turnbull is a master at cliffhangers, breathes vivid life into long gone celebrities in a manner that allows one to live vicariously through the story’s hero and heroines. This is a great and fascinating period in entertainment history and is thoroughly a worthwhile read. Have fun! From the publisher’s description: Hollywood, 1939: When Tinseltown begins to woo wunderkind Orson Welles, he stashes himself at the Chateau Marmont until he’s ready to make his splashy entrance. But gossip columnist Kathryn Massey knows he’s there. Kathryn has been on the outs with Hollywood since her ill-fated move to Life magazine, but now that she’s back at the Hollywood Reporter, she’s desperate to find the Next Big Thing. Scooping Welles’ secret retreat would put her back on the map, but by the time she hears rumors about his dangerous new movie, she’s fallen prey to his charms. She needs to repair her reputation, find out if Welles will take on the tycoon, and extricate herself from an affair with a man whose kisses make her melt like milk chocolate. Hollywood writers are only as good as their last screen credit, but Marcus Adler is still scrambling for his first. His Strange Cargo will star Clark Gable after Gone with the Wind wraps, but Machiavellian studio politics mean Marcus’ name might not make it to the screen. It’s time to play No More Mr. Nice Guy. Opportunity knocks when his boss challenges the writing department to outdo The Adventures of Robin Hood, and Marcus is confident—until the love of his life bursts back onto the scene. How can he write another word until he knows for once and for all whether he and Ramon Navarro will be together? And to make matters worse, it seems like someone in town is trying to sabotage him Everyone knows if you haven’t made it in Hollywood by the time you’re thirty, it’s curtains . . . and Gwendolyn Brick is starting to panic. She’s considering moving to a naval base in the Philippines with her baby brother, but she wants to give Hollywood one last go before she gives up. When she saves Twentieth Century Fox honcho Daryl F. Zanuck from an appalling fate at a poker game that goes awry, he rewards her with a chance at a role in a major movie. Gwendolyn needs to win before her ship sets sail. When William Randolph Hearst realizes Citizen Kane is based on him, he won’t be happy—and when Hearst isn’t happy, nobody’s safe. Marcus, Kathryn, and Gwendolyn need to go for broke, and the clock is ticking. 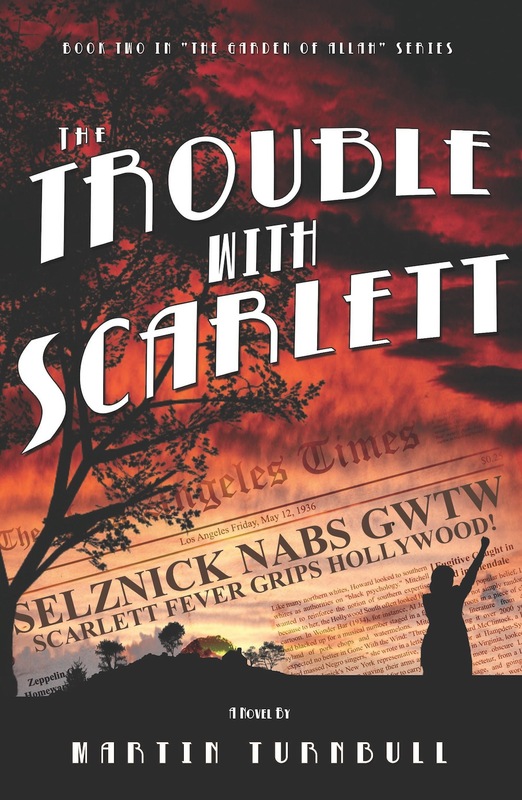 Citizen Hollywood is the third in Martin Turnbull’s series of historical novels set during Hollywood’s golden age. Martin Turnbull is a co-founder of the Alla Nazimova Society. 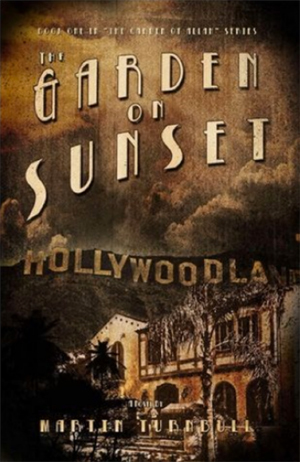 As a fan of The Garden on Sunset, it was a joy to join again in the endearing story of the three Hollywood ascendants: Marcus, Kathryn, and Gwendolyn. Through an adept combination of skillful character development and evocative settings, Martin Turnbull has, in the second novel in a promised series, become even more of a solid and resonant storyteller. In The Trouble with Scarlett, Turnbull’s characters have become (as real people do over time) more stable and clearly defined, and what might have deteriorated to an expected “gimmick” of involving his fictional characters with real people in historic events has instead become even more seamless, what might have been a clumsy technical contrivance is now an organic and properly rhythmic narrative voice.